Good morning lovelies! I am tackling some major cleaning and purging in my home this week. Believe it or not my boys made their Christmas wish lists last night. We agreed that Santa would probably feel more inclined to get them toys if they made room for new ones. With the holidays in mind we are selling and giving away quite a few of their older toys on VarageSale San Antonio. We have cleared out the clutter in toy boxes and I promised them we would use the money we earned from their goodies on a fun weekend outing. 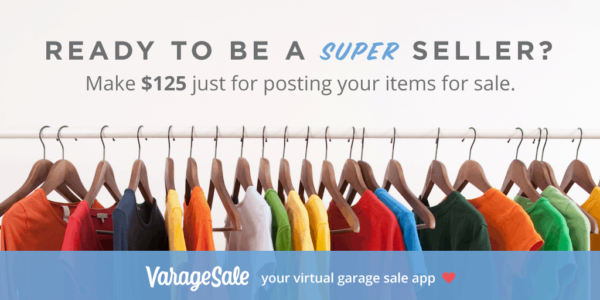 The VarageSale platform is simple and easy to use. The buy and sell platform is free for all members and has tons of communities around you! 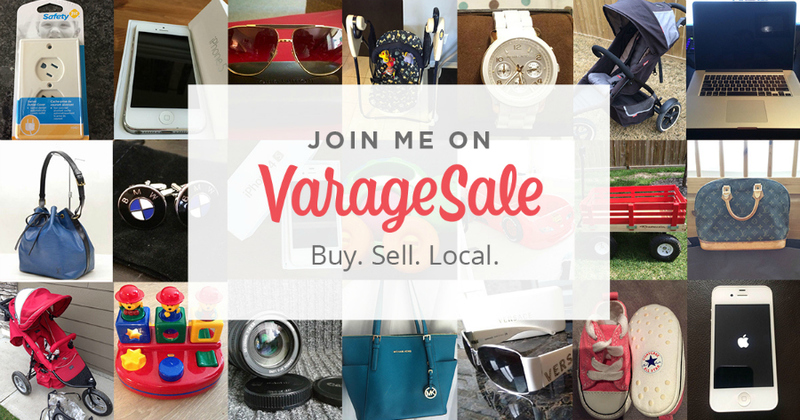 I downloaded the VarageSale app on my iPhone (also available on Android) joined my local San Antonio VarageSale community and started posting items for sale straight from my phone in minutes. I literally snap a pic of the item I want to sell with my phone, add a description, put it in a category, add a price and I’m done. The app will send me a notification when I have a potential buyer. 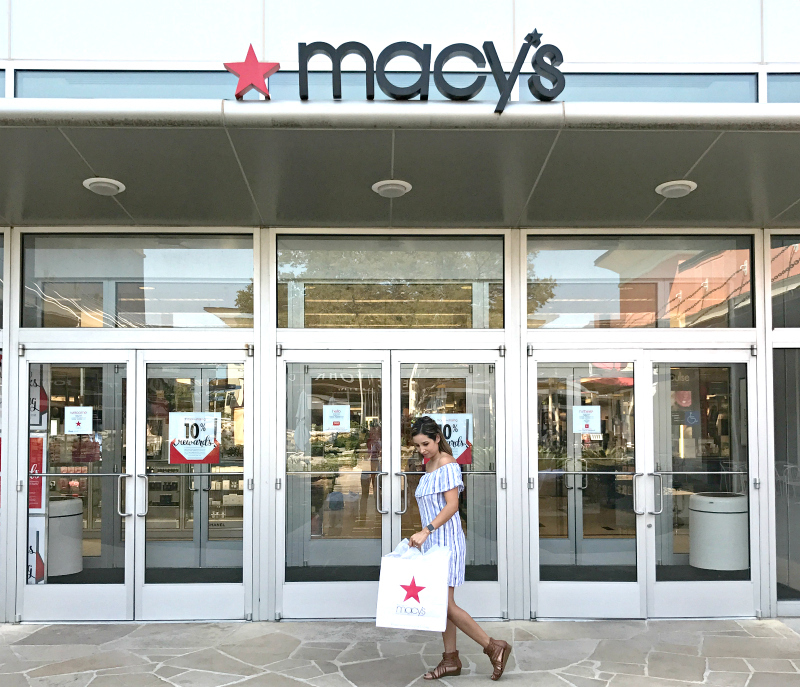 Yes there are other options for selling and buying stuff in your community. I have tried Craigslist, but it is filled with scammers and just not a safe enough outlet for me to feel comfortable. I am in quite a few Facebook groups to buy and sell stuff, but it is cluttered and hard to navigate what I am looking for. VarageSale takes the clutter out of a Facebook group, while still giving me a safe trusting platform. VarageSale is also organized by categories so I can quickly peruse my interests. All of your items for sale are neatly organized along with your past transactions. You can also join multiple communities in your area using your location right from the app. You can see the previous transaction praises and more from other sellers before you complete the transaction. 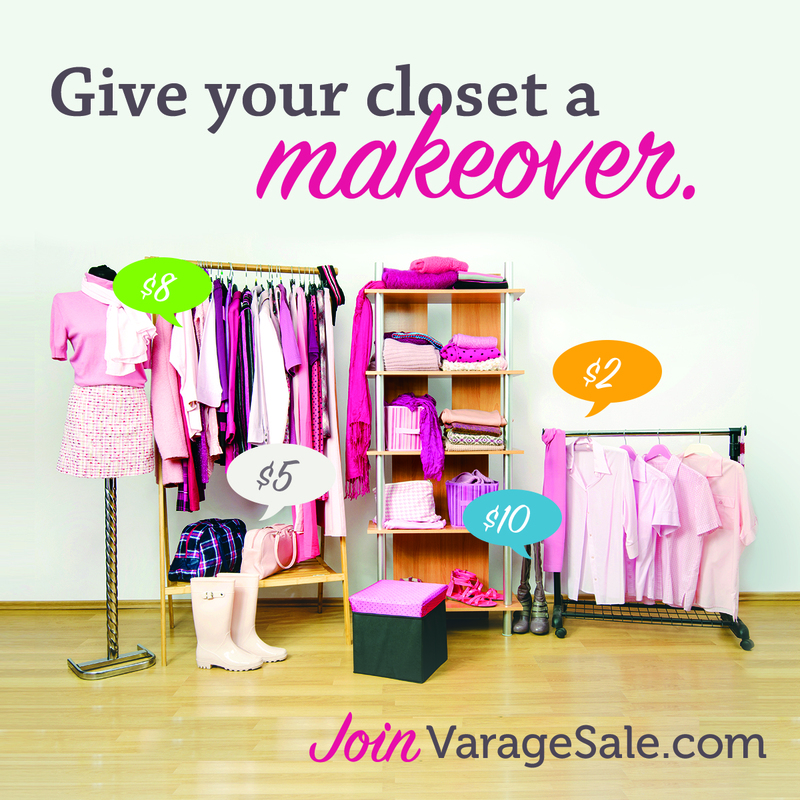 Become a member of VarageSale it’s free. 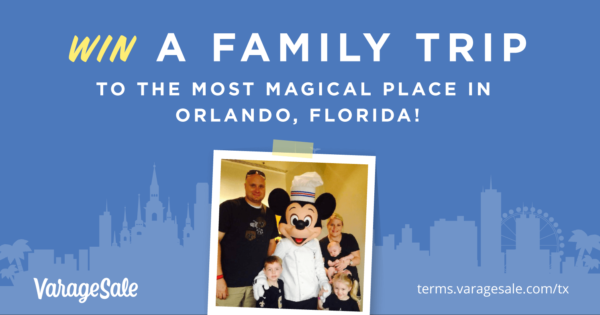 All members who complete these steps are automatically entered into the state-wide contest to win a family vacation (up to 5 people) to the most magical place on earth in Orlando, Florida (Disney World). VarageSale is on Facebook VarageSale | Twitter @VarageSale | Instagram VarageSale | youtube Varagesale. This is a sponsored post on behalf of Varagesale. All thoughts are my own and may not reflect those of others.